Denmead, 2nd July 2014. 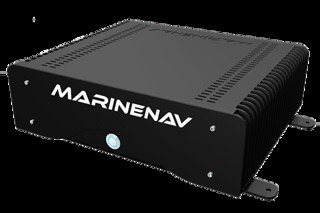 MarineNav, a major producer of marine PCs has released the Leviathan 17i Fanless Marine Computer. It features all of the power and speed of the well proven standard Leviathan 17i but with the benefit of no moving parts and a Mean Time Before Failure (MTBF) of over 104,000 hours – equivalent to over 10 years of service – plus it is up to 60% faster than most other fanless computers! By using heat pipe technology MarineNav is able to specify Intel’s i5-3570k CPU, so unlike most other fanless marine grade PC providers that use a mobile or embedded i5 platform which dramatically compromise performance, the Leviathan 17i Fanless performs up to 60% faster! With numerous expansion capabilities and more than enough memory and processing power for running radar systems, Integrated Bridge Systems (IBS), Electronic Chart Display & Information Systems (ECDIS), Dynamic Positioning Systems (DPS) and Voyage Data Recorders (VDR), the Leviathan 17i Fanless PC offers a long term platform stability until 2017 yet remains highly affordable. The impressive specification also includes a 120GB solid state drive, a 500 GB hard drive and 4GB of RAM. It has a very good selection of I/O ports including 4 serial ports (2 with selectable RS232/422/485) and ESD protection or opto-isolation option, 8 USB (6 USB 2.0, 2 USB 3.0 rear), 2 LAN 10/100/1000 GB, PS2, Audio in/out. Video handling capability is provided by an Intel HD 4000 with HDMI, DVI, (includes DVI to VGA adapter) and Display Port. The unit supports Dual Video and has an optional dedicated graphics card.